The largest international suppliers that supply the UK timber trade are either at the point of expiry or already running at a deficit. This comes after a report commissioned by the WWF found that countries such as Colombia and Brazil, will run out of timber forests in approximately 12 and 16 years respectively. Nigeria, Pakistan and Thailand are in a worse position and could see the demise of theirs in a decade or less, while South Africa is reported to only have about seven years’ worth of timber forests remaining. The report also examines how sourcing timber from sustainably managed forests could help stem this devastating loss of resources. It is a misconception that because of the shortage of timber forests, it’s bad to use timber in construction. However, it is time for the construction industry, as the biggest consumer of timber in the UK, to start caring about the sustainability of these materials so relied upon. For over 40 years MEDITE SMARTPLY has helped to create safe, healthy environments by sustainably producing timber panels for solution-focused construction and joinery, ensuring compliance with building regulations and only sourcing timber from their own sustainably managed, FSC certified forests in Ireland. This is an important factor at a time when transparency in the timber supply chain to the UK often leaves a lot to be desired. The world’s natural forests also contribute to a vast number of diverse ecosystems which can be protected with sustainable timber production methods. Timber is not the only industry that has a stake in this, with other ecosystem services such as carbon sequestration, biodiversity, erosion control, flood prevention and water provision also dependent on it. With this is mind, securing a timber supply for the long term from forests verified to be sustainably managed, such as those of MEDITE SMARTPLY, will help protect these industries, and the wildlife and ecosystems within them. MEDITE SMARTPLY sources all its timber from its own sustainably managed forests in Ireland. Just last year, 19 million new trees were planted to replace what was used the previous year. With this conscientious approach, its award-winning MDF and OSB products have evolved into the largest range offered by any UK timber panel manufacturer. The two company brands, MEDITE and SMARTPLY manufacture MDF and OSB respectively. Their huge range encompasses panels for a multitude of applications, including specialist applications which may demand low formaldehyde and flame-retardant panels, for example, for use in schools, hospitals and public buildings. Some key products are SMARTPLY FR OSB and MEDITE PREMIER FR MDF; two sustainably produced flame-retardant panels suitable for use as wall lining, partitions, display panels and ceilings which have been certified for use in fire retardant partition systems, for example. For environments which demand ultra-low emissions, MEDITE SMARTPLY developed MEDITE ECOLOGIQUE, formulated to maintain a low formaldehyde emission rate equivalent to the European low standard of E1. This helps to maintain a safe, healthy indoor air quality for sensitive projects. 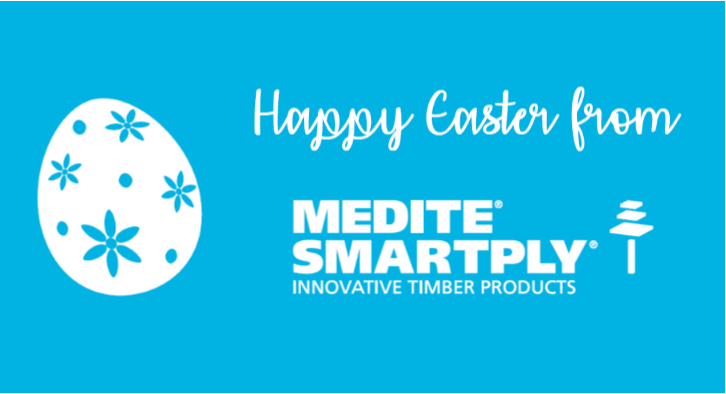 Every MEDITE SMARTPLY product is produced with careful consideration toward the forest environment and the ecosystems it supports, the time and labour of the construction professional, and the health and safety of the end user.